Ite ad Thomam Institute: Modernism vs. Neo-Modernism: What is the Difference? Modernism vs. Neo-Modernism: What is the Difference? The overarching principle of post-conciliar theology is not modernism, properly speaking. Let us get our terms straight. Modernism is the idea that there are no eternal truths, that truth is the correspondence of the mind with one's lifestyle (adaequatio intellectus et vitae), and that, therefore, old dogmas must be abandoned and new beliefs must arise that meet 'the needs of modern man'. This is a radical denial of the traditional and common sense notion of truth: the correspondence of the mind with reality (adaequatio intellectus et rei), which is the basis of the immutability of Catholic dogma. No, the post-conciliar theological principle is neo-modernism, and the theology that is based on it is known as the nouvelle theologie. It is the idea that old dogmas or beliefs must be retained, yet not the traditional 'formulas': dogmas must be expressed and interpreted in a new way in every age so as to meet the 'needs of modern man'. This is still a denial of the traditional and common sense notion of truth as adaequatio intellectus et rei (insofar as it is still an attempt to make the terminology that expresses the faith correspond with our modern lifestyle) and consequently of the immutability of Catholic dogma, yet it is not as radical as modernism. It is more subtle and much more deceptive than modernism because it claims that the faith must be retained; it is only the 'formulas' of faith that must be abandoned--they use the term 'formula' to distinguish the supposedly mutable words of our creeds, dogmas, etc. from their admittedly immutable meanings. Therefore, neo-modernism can effectively slip under the radar of most pre-conciliar condemnations (except Humani generis, which condemns it directly) insofar as its practitioners claim that their new and unintelligible theological terminology really expresses the same faith of all times. In other words, neo-modernism is supposed to be 'dynamic orthodoxy': supposedly orthodox in meaning, yet always changing in expression to adapt to modern life (cf. Franciscan University of Steubenville's mission statement). Take extra ecclesiam nulla salus as a clear example of a dogma that has received a brutal neo-modernist re-interpretation: they claim that the old 'formula' that "there is no salvation outside the Church" must be abandoned; rather it is more meaningful to modern man to say that salvation is not in, but through, the Church; people who are not in the Church may still be saved through the Church; thus, to them the dogma that "there is no salvation outside the Church" means that there is salvation outside the Church. Hence see Ven. Pope Pius XII condemning those "reduce to a meaningless formula the necessity of belonging to the true Church in order to gain eternal salvation." (Humani generis 27). It tends to be (1) rampant in men like De Lubac, Von Balthasar, Congar, etc. : it is the ultimate goal of their writings, teachings, and activities as churchmen. To achieve this end, they employ the technique of 'resourcement', the neo-modernist strategy of fishing for the few dubious, questionable, or idiosyncratic teachings of some Fathers of the Church and other authoritative writers, and gather them into a massive, heterodox theological argument against the traditional understanding of the faith (which they like to relativize by giving it names such as "Counter-Reformation" Theology, "Tridentine" Theology, or "Scholastic" Theology, instead of just admitting that it is Catholic Theology plain and simple). This technique accomplishes three things that go hand-in-hand: (a) offers a refutation of traditional Catholicism, (b) defends an interpretation that meets the needs of modern times, and (c) gives it a semblance of being traditional, because it appears to be based in the Fathers et al. This type of argument is used, for example, by Von Balthasar in his nearly heretical book, Dare We Hope that All Men be Saved? to 'prove', not that Hell does not exist (that is a dogma), but that it is empty. But this technique and its neo-modernistic underpinnings is not only practiced in almost all of these men's writings; it is also defended in theory by many of them, particularly in Von Balthasar's daring little book, Razing the Bastions, where he demonstrates that "Tridentine" theology must be rejected in our times because it is 'boring'. It also tends to be (2) present in a more moderate way in the non-binding statements by post-conciliar popes, since they themselves were deeply involved in the developing of the nouvelle theologie. Just to give one of a million possible examples, see Pope Benedict's evolutionistic re-interpretation of the Resurrection of Our Lord. Nothing here obviously contradicts the dogma of the Resurrection (it may be interpreted as a simple analogy, even if a bad one, and nothing more), but it is a novelty that can be easily understood as claiming that the Resurrection is part of the natural development of nature (thus giving credence to some of the nouvelle theologie's pet doctrines, such as De Lubac's heterodox notion of the supernatural and De Chardin's pantheistic evolutionism). This happens almost on a daily basis in what comes out of the Vatican, not to mention what comes from local bishops. And finally, neo-modernism tends to be present (3) mostly implicitly or behind-the-scenes in the Council, the Catechism, etc., even though it seldom comes out more explicitly. Things are done at this level under the pretext of 'aggiornamento', a euphemism for neo-modernism. That is usually all the justification provided since at this authoritative level, there is no need to justify things theologically. Hence, Vatican II and the Catechism are not outright neo-modernistic. Rather, they (like most of post-conciliar doctrine) tend in that direction and/or are inspired by that mentality. In other words, most of the time these documents do not explicitly teach neo-modernist errors (the kind of errors you hear explicitly from neo-modernist theologians and priests). Rather, they are full of dangerous ambiguities: statements that in a technical sense could be interpreted as being in harmony with the traditional faith, but that, in their natural, non-forced, interpretation are heterodox. One clear example of this is Dignitatis humanae, par. 2; entire monographs have been written in order to prove that, despite appearances, this document does not contradict previous teaching. Maybe in fact it ultimately does not, but it is obvious that the prima facie meaning does; otherwise there would be no need to write so many volumes to prove it. It must be noted that these are general tendencies, and that in some documents (cf. Gaudium et Spes) and every now and then in papal and episcopal statements neo-modernist principles rears come out more explicitly. 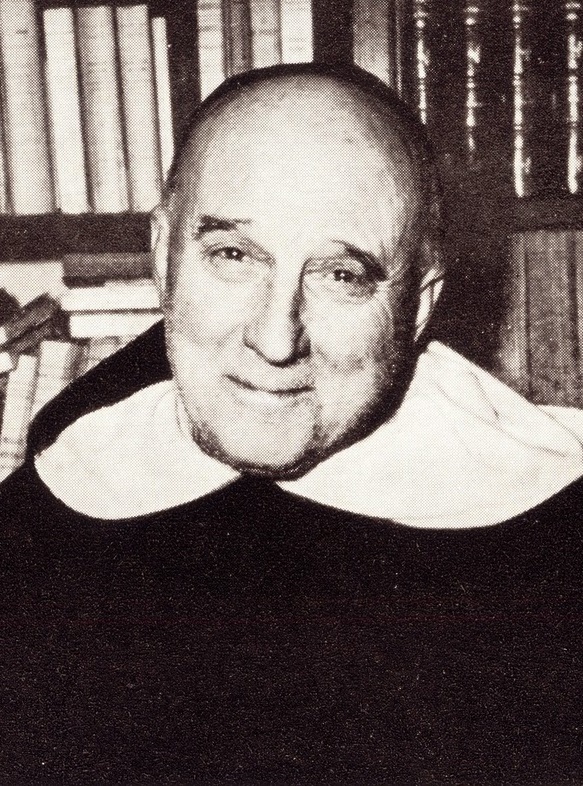 For a more detailed philosophical and theological critique of neo-modernism, and how it is nothing but a re-hashing of modernism, see Garrigou-Lagrange's Where is the New Theology Leading Us? and his The Structure of the Encyclical Humani Generis. You have named 'resourcement' as an inherently dangerous neo-modernist strategy, would you elucidate more such strategies we might encounter equally capable of confounding our understanding and leading us away from the Church? I trust I may disseminate this article amongst a Catholic men's group. It is the best quick survey I believe that I've come across of what I've been trying to convey to the group for years. Trouble is, they are loathe to hear it, wanting desperately to believe there is nothing wrong with the Council's documents,nothing wrong with the Catechism, and nothing wrong with post-counciliar encyclicals. They know the Church is being torn apart but when I try to point out that though the counciliar and post-conciliar documents did not cause the problem of neo-modernism, they have certainly enabled it. "Hence, Vatican II and the Catechism are outright neo-modernistic." I believe you meant, ".....are "not" outright neo-modernistic"... or have I misunderstood? You may share links to the post and/or print it out, but please do not republish it somewhere else; please direct readers to Ite ad Thomam instead. Oops. Thanks, I corrected that. What are these "entire monographs [that] have been written in order to prove that, despite appearances, [Dignitatis humanæ] does not contradict previous teaching"? I have always been curious about that; it and Nostra Ætate are the two Vatican II documents I struggle with most. Grazie! "The contempt of doctrine commonly taught and of the terms in which it is expressed strongly favor ['dogmatic relativism']... [T]he things that have been composed through common effort by Catholic teachers over the course of the centuries to bring about some understanding of dogma are certainly not based on any such weak foundation. These things are based on principles and notions deduced from a true knowledge of created things. In the process of deducing, this knowledge, like a star, gave enlightenment to the human mind through the Church. Hence it is not astonishing that some of these notions have not only been used by the Ecumenical Councils, but even sanctioned by them, so that it is wrong to depart from them." First I wish to express my great appreciation for this wonderful resource in theology that you are working upon. and theology with Catholic doctrine for a long time, I have often run into these problems with people claiming to follow resourcement or Vatican II theological directives, and so can understand some of what you are saying. Yet I have also had difficulties with some Thomists who seem to be overly idealogical about Thomas Aquinas- often either philosophers who do not take theology and doctrine into a great enough consideration; or else, theologians, who do not wish to take into consideration philosophy (perhaps in that problem can be found some further effects of modernism or neo-modernism or even post-modernism). One good aspect of the resourcement in considering patristics, other early medievals,scholastics and what occured later, is that it should give us a more clearer vision of the references of St. Thomas Aquinas and give greater insight into theology and doctrine itself. Therefore in the end there seem to be some definite benefits to the resourcement if one is also keeping Thomas Aquinas in the forefront as a primary central interpreter of the salvific truth (as many Popes have described) who has most consistently understood and communicated the truth of the gospels, the deposit of the faith and sacred doctrine in continuity with first truth (the Trinity and Christ in the Incarnation), and following, the one holy Catholic apostolic Church, revelation, sacred scripture, patristics and proclaimation upon faith, morals and doctrines. Although it is true that we do have to look at other sources for aspects of Marian doctrine. The followers of resourcement who often wish to emphasize Vatican II and current theology to the neglect of scholasticism or what was stated at Trent, or St. Thomas Aquinas, often seem to use them as a foil to not study St.Thomas Aquinas and dismiss scholastic theology, with all its fine subtilties, and at the same time also forget about philosophy with how it corresponds with theology. Sometimes they seem to undermine authoritative magisterial doctrine as a whole, but other times they may just not have the talent for it and are trying to be more simple with the gospel, St. Therese, or Cure of Ars types. One insight that I try to remember is that the gifts of the Holy Spirit can make up for the lack of talent with envisioning the great detailed vision of saints such as St. Thomas Aquinas or even St.Bonaventure, Cyril of Alexandria or any of the great intellectual doctors of the church. SO we must not fall into pride if we have the benefit to understand some aspects of St. Thomas Aquinas. The neglect may be unwittingly, or with grace or else through lack of talent- hopefully it is not all malice. Is it neo-modernist to suppose that words do not have inherent meaning, and thus there is a periodic need for re-translation? This is dangerous, of course, as re-translation can be used to change the meaning. Despite the fact that I probably have a number of neo-modernist tendencies, I accept it as rather tautological that there is no salvation outside the Church. For there is no salvation apart from Christ, and the Church and the Body of Christ are one and the same. My question is whether there are any circumstances in which a person could be considered to be a part of the Church without formal membership in her. I am thinking here of catechumens who die before baptism, the baptized children of heretics, or the completely un-evangelized, for example. Whatever the condition of such people, I lament the fact that the admission of a possibility has practically turned into a guarantee, and we have lost all motivation for missionary work. This is foolish, for while God may not be bound by the necessity of baptism, for example, we know of no other way to be saved. Benedict XVI says: "The example that von Balthasar has given us is, rather, that of a true theologian who in contemplation had discovered a consistent course of action for giving Christian witness in the world. We remember him on this important occasion as a man of faith, a priest who, in obedience and in a hidden life, never sought personal approval, but rather in the true Ignatian spirit always desired the greater glory of God. With these sentiments, I encourage all of you to continue, with interest and enthusiasm, your study of the writings of von Balthasar and to find ways of applying them practically and effectively. "